This small concrete landing with bricks surrounding it needed to be made into a useable bbq’ing/entertaining space. 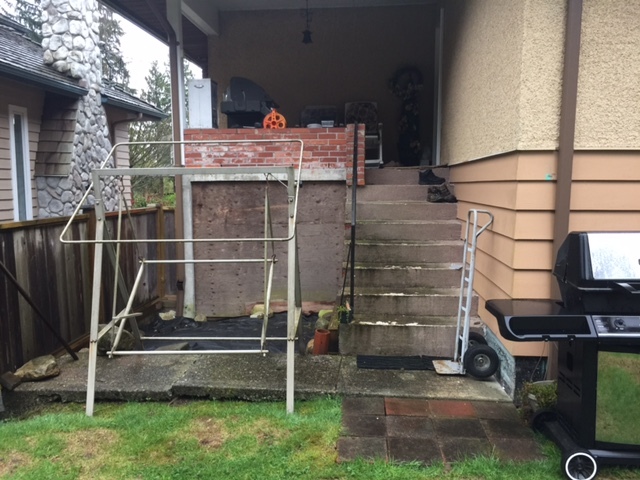 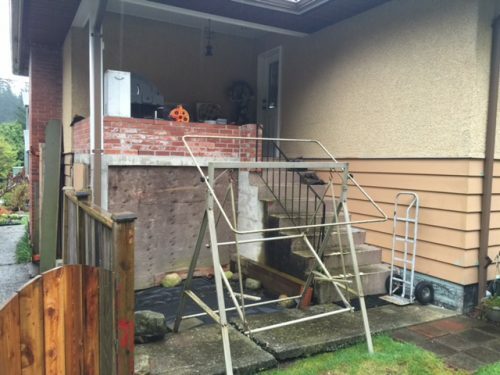 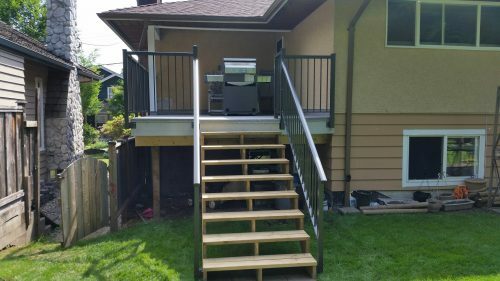 We removed all the bricks along with the cement sidewalk underneath it and then built a new larger deck on top of the concrete slab and over the cement stairs with wide stairs leading to the backyard. 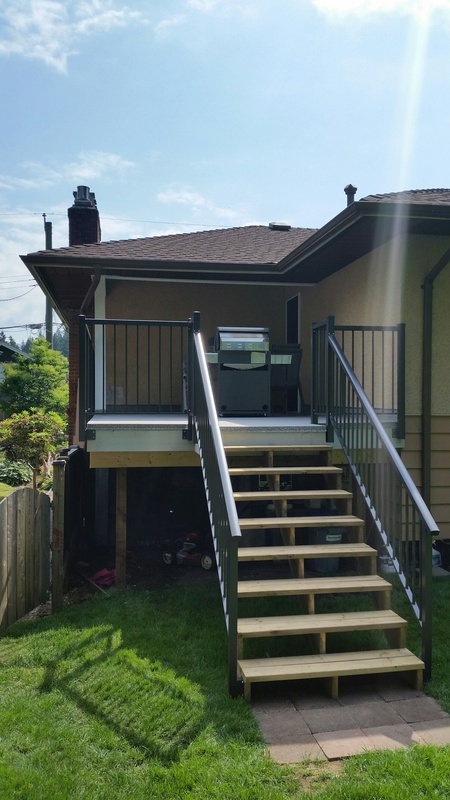 Vinyl membrane for waterproofing and dark brown picket railings finished off this new outdoor space.